After probably two months without much calligraphy—just a few envelopes here and there—I used a chunk of my Sunday to finish up my Amy Style worksheet set. 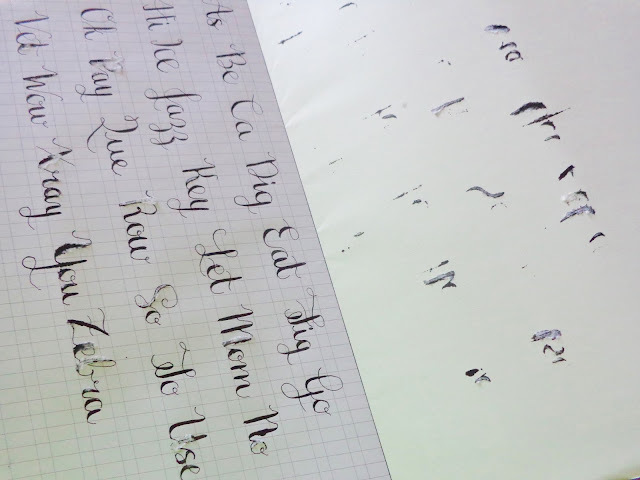 I remembered, this time, to use the pairing technique which I'd discovered worked well for me earlier in the year: I'm more likely to practice calligraphy when I'm listening to a podcast. Today I listened to an episode of On Being which featured Elizabeth Gilbert, author of "Eat, Pray, Love" and "Big Magic: Creative Living Beyond Fear," among others. Below you'll find quotes (spoken by Elizabeth Gilbert) of the parts that stuck out to me the most, interspersed with pictures of some of the words I practiced. "Curiosity is our friend that teaches us how to become ourselves. And it's a very gentle friend and a very forgiving friend and a very constant one. 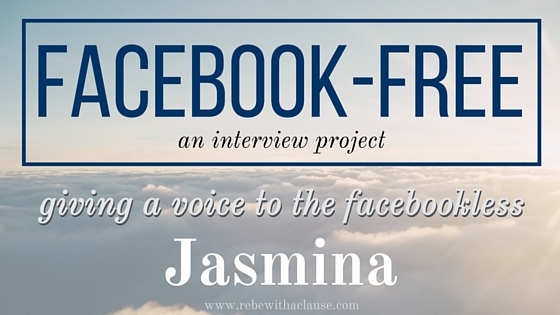 I'm pleased to share a new Facebook-free interview with you this week. Introducing, Jasmina! Facebook had been the root to a lot of major arguments and problems however when it enabled a complete weirdo to become obsessed with me, infiltrate my friendship group and gain enough information to physically track me down it was the last straw. 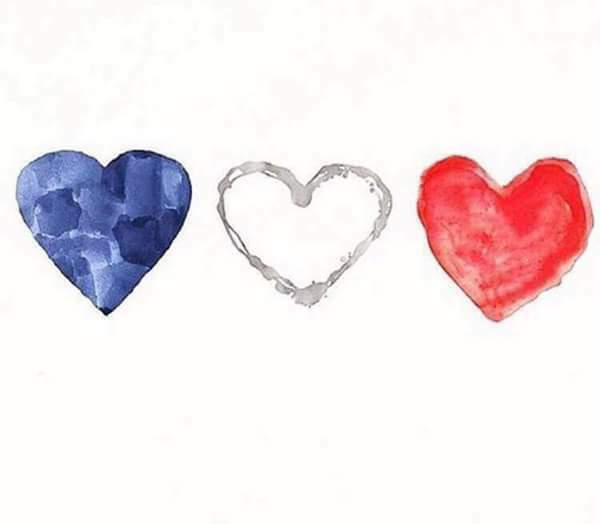 President François Hollande has declared a 3-day national period of mourning from today through Monday the 18. Gay pride events had been scheduled to take place today in Montpellier, but they've been cancelled in respect for the Nice victims. Although it's been rather quiet here on the blog anyway, I'm extending this mourning period into the virtual world, and thus will hold off on further updates until then.